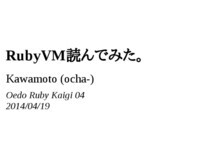 Since Ruby 2.3 and the introduction of RubyVM::InstructionSequence::load_iseq, we've been able to programmatically load ruby bytecode. By divorcing the process of running YARV byte code from the process of compiling ruby code, we can take advantage of the strengths of the ruby virtual machine while simultaneously reaping the benefits of a compiler such as macros, type checking, and instruction sequence optimizations. 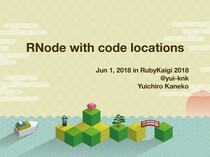 This can make our ruby faster and more readable! This talk demonstrates how to integrate this into your own workflows and the exciting possibilities this enables.